Kimber Howard | Staff | NSSPlus, Inc.
Kimber Howard brings over 14 years of progressive and professional experience in Project Management, Healthcare IT and Cyber Security program management, Continuous Monitoring, IT Security Engineering, Network Operations and Security Assessments based on the DoD and NIST Standards. Ms. Howard has developed and executed plans to transition two Agencies from DoD Information Assurance Certification and Accreditation Process (DIACAP) to Risk Management Framework (RMF) which comprised of 100+ DoD Information Systems. She has developed strategies for Federal and DoD agencies to incorporate cybersecurity into all phases of the System Development Lifecycle (SDLC) to ensure the effective, cost-efficient implementation of cybersecurity. She has architected multiple innovative cybersecurity solutions for multiple environments to include distributed data centers, cloud, and big data environments. Ms. Howard works closely with agency CIOs/CISOs to provide CIO support and translate risk assessment results into knowledge that allows for senior leadership to make actionable decisions. With her background in business and program management, Ms. Howard specializes in integrating the worlds of cybersecurity operations and business strategy. She has mastered the process of bridging the gap between day-to-day cybersecurity operations and overall agency mission strategic initiatives. 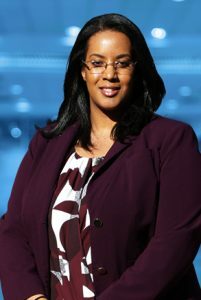 Ms. Howard is a graduate of George Mason University, a Certified Information Systems Security Professional (CISSP) since 2008, Certified Authorization Professional (CAP) since 2013, and is also certified as a Project Management Professional (PMP).